EA's FIFA 09 has pipped Activision's Call of Duty: World at War at the very last minute and nabbed the coveted Christmas No.1 in the all formats videogames chart. It is EA's sixth Christmas number on in eight years, with bookies' favourite Call of Duty: World at War being bumped off the top slot – down to number two - after a five week run at the helm of the chart. Nintendo's wonderful Mario Kart Wii sits in third place on the 2008 Xmas chart - which reminds us to dig it out of the toy box after Christmas dinner on Thursday, as it is one of those rare 'proper' games that everybody can very quickly get into. Even your nan! Elsewhere on the chart, we see EA's Need For Speed Undercover, Brain Training, Wii Play, Professor Layton and the Curious Village, Quantum of Solace, Eidos' Tomb Raider: Underworld and – this year's must-have gift – Wii Fit. Note that an impressive half of the titles in the Xmas top ten are Nintendo games. 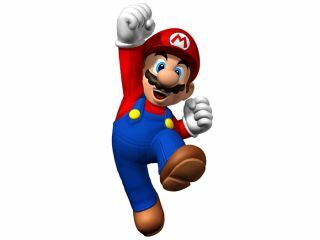 It's been another startlingly good year for the Japanese gaming giant, proving those cynics that said the Wii was a flash in the pan (back in 2006) well and truly wrong. Now all we need are some more proper Wii games for 2009. Come on, Nintendo! Tell us about the next Zelda and Mario titles at E3 in June. Or else!